As a civilian spouse, your military benefits are typically based on your marital status and a divorce may mean losing those benefits. For example, you may have to give up military health insurance and the ability to shop at the exchange and commissary. However, federal law may allow you to keep these benefits if you have been married for at least 20 years. A divorce court can also award you a portion of your spouse’s retirement pay and can force your spouse to sign up for a plan that pays benefits to you if he dies after retirement. Though divorces can only be granted by state courts under the authority of state laws, military benefits are governed by federal law. The Uniformed Services Former Spouses’ Protection Act (USFSPA), a federal law passed in 1982, contains the guidelines under which you may be eligible for certain benefits. USFSPA also gives each state’s courts authority to divide your spouse’s military retirement pay as property or alimony in your divorce. Since USFSPA gives no guidelines about how long you must be married before the pension can be divided, your divorce court could award you a portion of your spouse’s retirement pay even if you were married only a short time. USFSPA allows spouses to retain their full military benefits after divorce if they were married at least 20 years, the servicemember performed at least 20 years of service creditable toward retirement, and there is at least 20 years of overlap between the marriage and the retirement-related service. Thus, if you were married 20 years and your spouse was on active duty during your entire 20 years of marriage, you likely qualify for full military benefits, including military medical care and health insurance. The date of your divorce decree does not matter for this coverage. For spouses whose divorce decree was final before April 1, 1985, however, the marriage and service only have to overlap for 15 years. 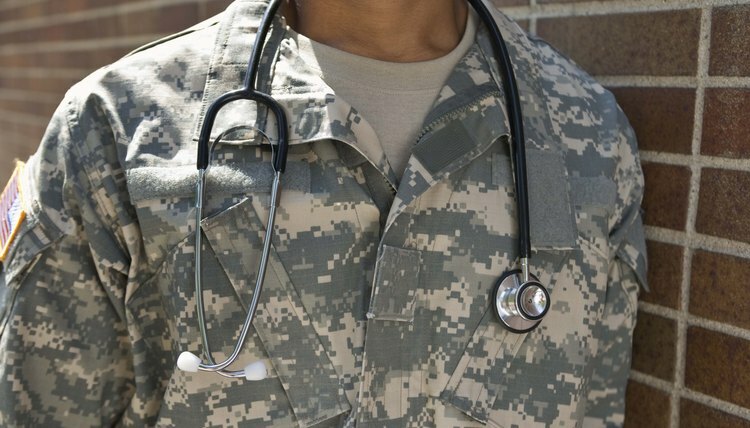 If you do not qualify for military health care under USFSPA, you can purchase health benefits under the Continued Health Care Benefit Program, a health insurance program similar to military health care. This program requires you to pay premiums, and it is typically only available for a maximum of 36 months following your divorce. If the court awards a portion of your spouse’s military pension in your divorce decree, you can receive payment from your spouse or, if you qualify, directly from the Defense Finance and Accounting Service (DFAS). To receive direct payment, you must have been married at least 10 years during which your spouse must have performed at least 10 years of service. Your court order must also specify that the award is to be paid directly to you. If you meet these requirements and send your court order to DFAS, the service will send you direct monthly payments upon your spouse’s retirement. Since military retirement pay does not continue after the servicemember dies, your share of your ex-spouse’s retirement pay could end upon his death. The Survivor Benefit Plan, a federal program, allows you to receive payments even after your spouse’s death, but he has to sign up for this plan and pay for it. The court can require your ex-spouse to obtain this coverage and pay for it, and you can send a copy of the court order to DFAS to ensure you will receive this coverage. You must send the decree to DFAS within one year from the date the order is issued. If the court does not address this coverage, your spouse is not required to provide it. Unlike most spouses, those married to members of the United States military have the federal government in their corner if they divorce. The Uniformed Services Former Spouse Protection Act provides them with certain immutable benefits. This is both good and bad. The rules are ironclad, so divorce courts can’t deny you these benefits. But a sympathetic judge can’t do much to override them, either, and give you more than the USFSPA provides. If a servicemember becomes disabled due to an injury related to his service, he may receive payments from the Department of Veterans Affairs that add to his military compensation, sometimes reducing his retirement pay in the process. These disability payments are treated differently than retirement payments -- and state divorce courts have limited authority to give a portion of the disability funds to the military member’s ex-spouse. Social Security administers retirement and disability insurance programs. To be eligible for benefits, you must earn wages from which payroll taxes are deducted by your employer or pay self-employment taxes on money you earn working for yourself. Under some conditions, benefits are also payable to your ex-spouse, even if she has never worked.